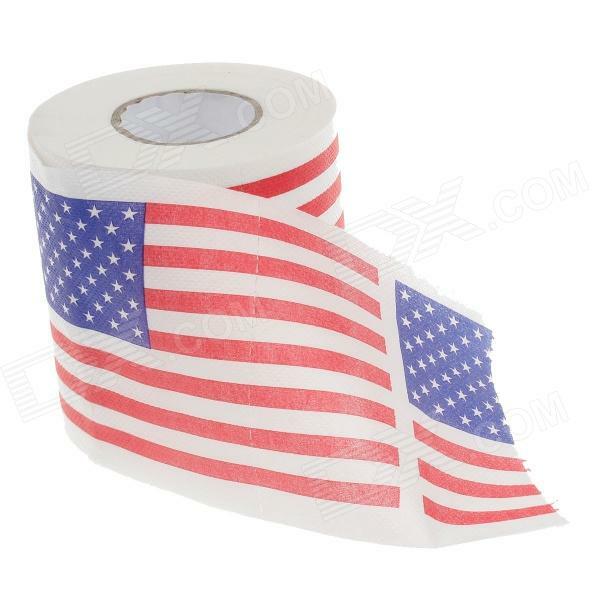 It’s toilet roll printed with the American flag. I may pick up some death threats for publishing this. 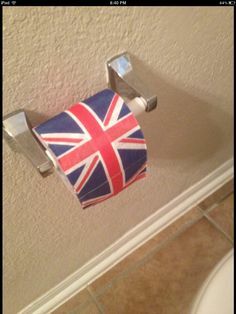 If you go to this website, you will find that the company advertises Union Flag toilet paper for sale for “the person who has everything!” The only way someone would die in this case would be if they laughed their heads off. It’s considered a quirky, humorous gift. Back to the American symbol, though. Americans are very protective towards their flag. People can get into trouble if they “desecrate” their nation’s symbol. In this article, there is a cute picture of a baby wrapped in the American flag. Sacrilege, according to some. Patriotic hero Sarah Palin has even been accused of flag desecration. In January of this year some criminals in Paris, France, used the desecration of another symbol, Muhammad, as an excuse to kill over a dozen people. Don’t get me wrong here, that’s no excuse for killing, but at least we can learn from this that some people can get upset when their “own” “symbol” isn’t used appropriately. So, where are we so far. In America people can get upset if the American flag is misused, and in the Muslim world there are people who use “symbol misuse” as an excuse for violence. What on earth, then were some far right Americans thinking of when they decided to hold a “Muhammad drawing competition”? Defenders of the “contest” assert that it was an expression of “free speech”. They even invited to the event Geert Wilders, a far right European politician who is due in court at some stage on hate speech charges. Because in America, everything goes. Except wrapping American babies in the flag, of course. I periodically pick up death threats from people in America. The American police response is typically that death threats are an allowable free speech activity. Yes, I’m blaming the Americans, but for a point: America asserts to being a civilised, responsible country and so people from outside America who see death threats on social media think that they are an acceptable form of behaviour. It’s time that the world’s role model, grew up – or perhaps decided that they would no longer wish to assert to being a role model. 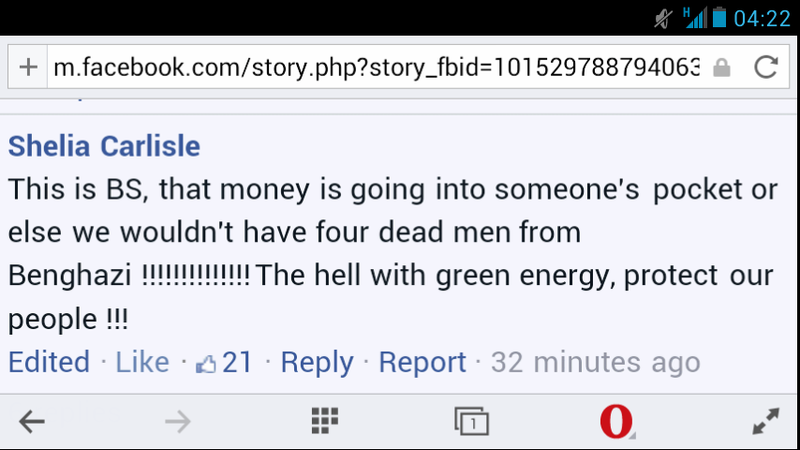 Fox ‘News’ have done some research (insider.foxnews.com/2015/02/14/report-govt-spends-14-times-more-green-energy-embassy-security ), and come up with the startling statistic that America spends 14 times more on green energy than it does on embassy security. Of course, Fox missed a trick here. Since spending on the military is a gazillion times more than spending on embassies they should have made that comparison instead. Is the American far-right and it’s mouthpiece Fox “News” the biggest threat to global security today? A week ago this very day three gunmen went on the rampage in Paris, France, and killed a dozen people. I would like to leave a discussion of that, and it’s aftermath in Europe for another day. Today, I’d like to discuss the response from America. The response, particularly from the far right, to an attack on civilisation was itself as uncivilised as it could get. Within hours commentators in America were calling for the extermination of and entire people. In another post, I reminded the world that there had also been a terrorist attack in America at the offices of the NAACP, and that if the far-right were consistent in their “thinking” they would be calling for every American in the world to be exterminated. On a personal level, I received a death threat from someone who wished to assert that America was more “civilised” that the Islamic world. And then there were the miss-informed people who could have done with educating before they were allowed online. People who asked in all seriousness what Islam had ever brought us that was good. People with selective memories about America’s own past. And the plain stupid. By, I think Sunday, the far-right and Fox News had whipped up the rhetoric to such an extent that the US State Department were warning people to be careful out there in the big wide world. And the far right carried on. A fool went on Fox “News” and stated as a fact that Birmingham, England, was 100% Muslim – and people who knew how to Google (it’s a continuing fascination for me, and a puzzle that someone could answer if they would be so kind: is Google blocked in America?) laughed in derision. So, we have a whole load of incredibly stupid, right wing Americans poking a basket containing a few hundred criminals. Are these people trying to provoke a reaction? I believe that they are. I believe that the world will never be at peace while these stupid American thugs are allowed free access to the internet. The criminals are only human, and if you poke them long enough and hard enough they will react.